This is an old photo – taken in 2011. Seen is the photo are Karishma, her daughter Kabita Manandhar and guests to celebrate Kabita’s birthday. 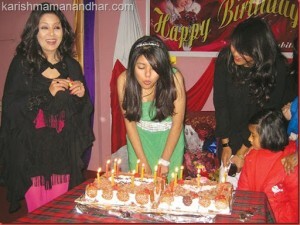 Kabita is blowing candles on a huge cake.